HOW DOES A LAUNDROMAT WORK? 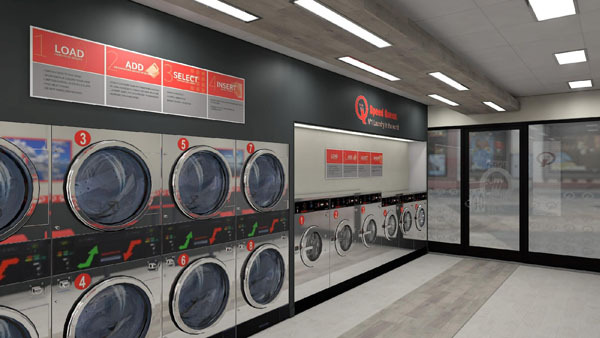 Home > Business tips > Laundromat & equipment > HOW DOES A LAUNDROMAT WORK? 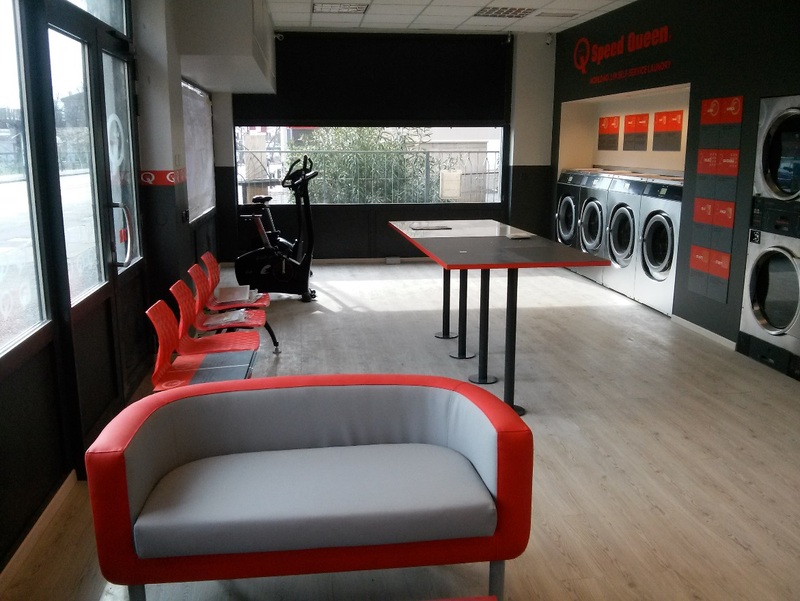 Speed Queen laundromats are modern, well-equipped laundries with state-of-the-art machines. The operation of the washing machines and dryers is intuitive. Select the machine you require. The price of wash cycles will depend on the load capacity and the type of program selected. Place your laundry inside the machine and close the door. Then select the temperature of the wash program according to the kind of materials to be washed. Very hot for white cotton, warm for synthetics, cold for delicate linen, etc. Add machine detergent (a place is provided for this purpose on the top of the machine). You can buy detergent on site. Add fabric softener and bleach, if required. Then use the payment center to start the washing or drying program: tap the option ‘wash’ and then the number corresponding to the machine. You can pay in cash (notes or coins) or else with your loyalty card. Remember to take your change, if any. In some laundries, payment is by cash directly at the machine. Press the ‘start’ button on the machine: the washing machine turns on and indicates the time remaining (a wash cycle takes around 30 minutes). * Just as for washing machines, the operation of the dryer may differ from one laundromat to another. Once you have finished washing your laundry, open the door and place it inside an available dryer. Select the desired temperature, directly on the dryer display: high, medium, low, minimum. Use the payment center to pay and start up the drying program; simply press the option ‘dry’ then the number corresponding to the selected dryer. Pay in cash or with your loyalty card. The drying time will be indicated: it takes about 30 minutes. We recommend you use the Speed Queen loyalty card: you can buy one in the payment center: tap the option ‘buy a Speed Queen card’ in the payment center. Recharging this card in the future is easy: insert it into the card reader and select the option ‘Recharge my Speed Queen card’. Find the Speed Queen laundry nearest to you, using the Laundry Locator.